Activision announced the incredible stat in a post on the company website. Those 2 million units cover the PC, PS4, and Xbox One platforms, and includes both digital and physical sales. It was also noted that Sekiro has a ‘Must-Play’ rating on Metacritic, something only one percent of all games achieve each year, and that on launch day it was the top-viewed game on Twitch, with over 631 million minutes watched on the streaming platform over the launch weekend. “The fans have made Sekiro: Shadows Die Twice one of the most incredible game launches of 2019 thus far. The game has performed well on all platforms including PC and we’re excited by the continued support from gamers and critics alike. It has been gratifying to see the enjoyment from fans when they overcome each challenge,” said Michelle Fonseca, Vice President of Product Management and Marketing at Activision. The announcement follows news that Sekiro had the best Steam launch of the year, boasting 108,000 concurrent players in its first 24 hours. 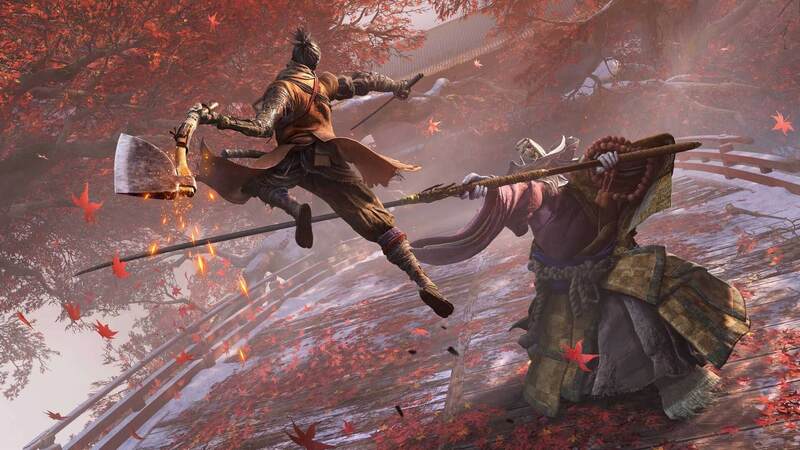 Much like FromSoftware’s Dark Souls games, Sekiro can test the limits of players’ patience. There’s now a mod available that adds a slew of graphical options to the PC version while introducing an easier/cheat mode. Don’t mention using it on Twitter, though; else you might be subjected to the ‘you cheated not only the game’ meme. It's a good ****ing game. It keeps the good old Souls formula deep down but it's more fair than any Souls game. If you care enough to improve you won't have a lot of trouble beating it. After Sekiro, Dark Souls feels outdated as hell. You pretty much HAVE to die a couple of times before you see all the bosses moves which some people will not like, I'm not a huge fan of it, I feel like it's wasting me too much time but it is part of the game. As for these gaming "journos" they are a joke. They hate gamers but rely on them to keep their job. They don't even play games and are certainly not enthusiastic about them to be talking about 'em. I don't like the "git gud" crowd, they are polar opposite of gaming "journalists". I dont love punishment. You feel guilt, shame. Nobody likes punishment, why would you write that? I have absolutely been loving Sekiro and still have no clue how far I actually am in the game (just beat corrupted monk). I find it much more enjoyable than Dark souls and think it's due to the whole posture system. I'm no longer just avoiding tons of damage by rolling around like a fool.